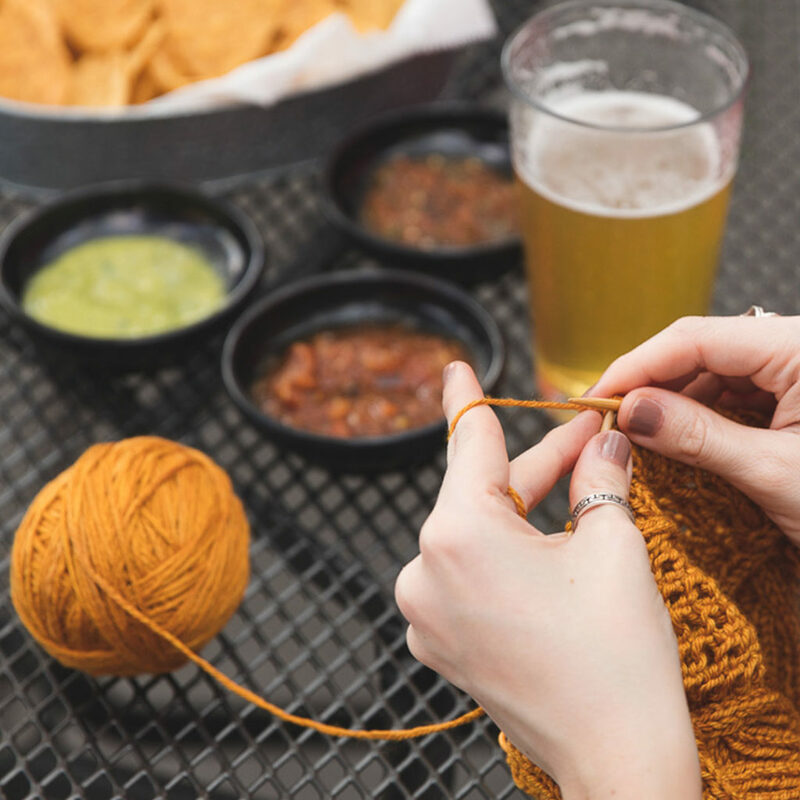 There’s something magical about bringing knitting and beer together. Add in the ability to finally knit outside and it’s enough to make our hearts sing. 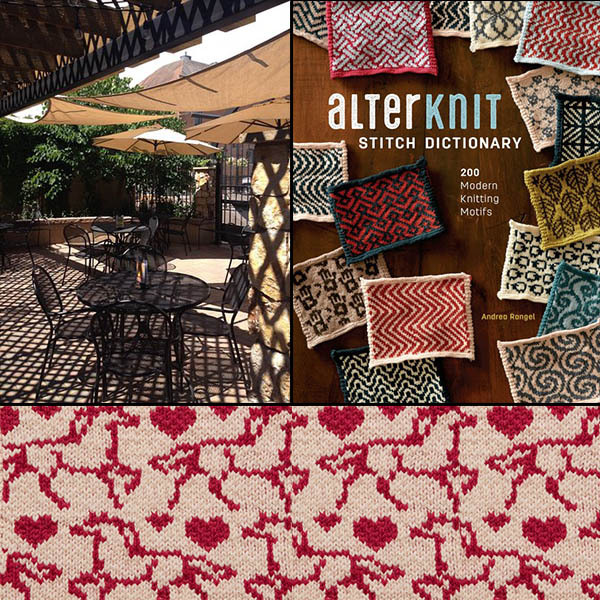 So in honor of what we’re dubbing “knitting in public season,” we thought we’d cast on some summer patterns and enjoy a couple of cold ones (all in the name of research, of course) to find out which brewery patios are truly the best to knit on. When seeking the ideal brewery patio to purl on, look for . . .
. . . The one that’s a local secret. You know the one I’m talking about: the brewery with a killer patio tucked in the back that has that secret garden-esque quality to it. 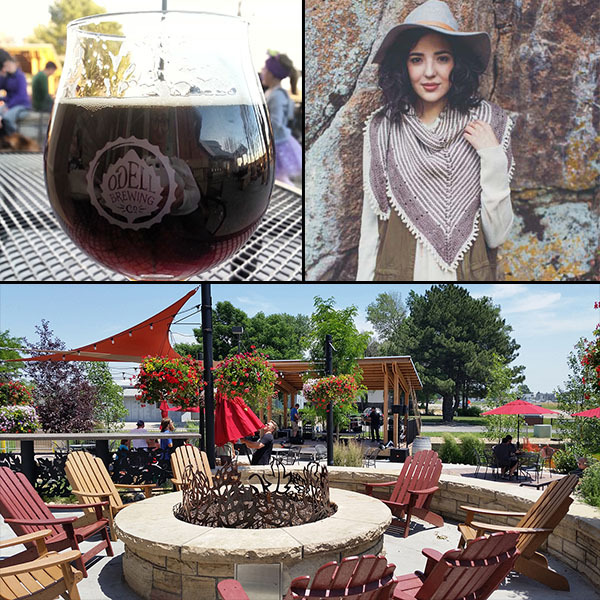 These special and lesser-known brewery patios are best enjoyed alone with that extra-special project you’ve been saving for knitting in public. Take advantage of this solitude by focusing on some cheeky colorwork from AlterKnit Stitch Dictionary. I secretly want to make an entire sweater with the Prancing Ponies pattern from AlterKnit Stitch Dictionary. I think I’ll save this dream project for some solitary knitting at Equinox Brewing. Located in the heart of downtown Fort Collins, Colorado, this brewery has a cute little patio out back that’s hidden by high walls.
. . . The one that’s great all year round. Brewery with ample shade in the summer and toasty fires in the winter are perfect for multi-season patio knitting. Plan your weekly knitting group night here, no matter the weather, and bring a pattern that you can knit and wear throughout the seasons, like the Ramsey Shawl from Plum Dandi Knits. The Ramsey Shawl is worked up in a merino/cashmere/silk blend, making it a great choice for lightweight layering. It’d be the perfect knit to work up with a group at Odell Brewing Company, an old standard in the Fort Collins brewery scene. Its big shady trees and roaring fire pits mean the patio is full almost year-round (no joke, I’ve seen people out there in the snow).
. . . The one for the foodies. I think there is a saying about not knitting on an empty stomach—or there should be. Having great food to enjoy with your patio knitting can be key. 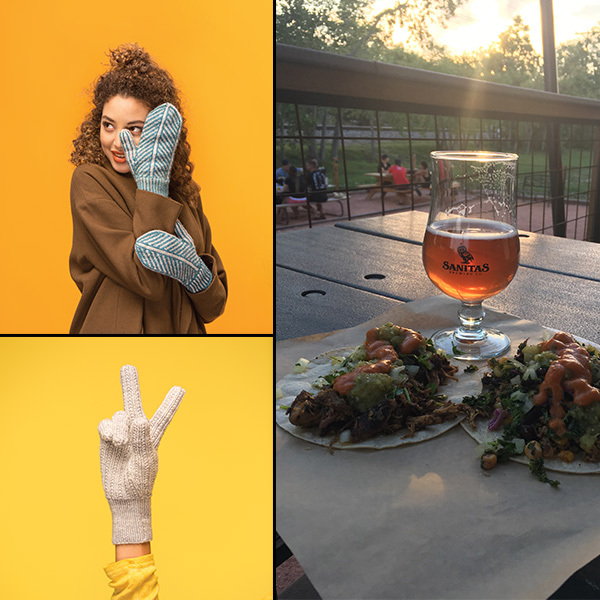 Take your bestie to this brewery and teach them how to knit over a beer and some great eats. Be sure to bring along a great starter resource like Knit Mitts by Kate Atherley.
. . . The one with the great view. Maybe it’s nestled in the mountains overlooking a valley, or perched over a sprawling city. Whatever the scene, brewery patios with a view are perfect for a date night. If your significant other doesn’t mind, bring a knit that’s easy to memorize and look away from, like the Monterey Tee from Wool Studio. Once you get started on the Monterey Tee, you’ll be surprised at how little attention it needs! The rhythmic pattern of the lace is easy to memorize, and it’s the perfect knit for summer! Bring it with you to a brewery patio with a great view like Prost Brewing. Situated just north of downtown Denver, and it offers a fantastic view of the city’s skyline.
. . . The one with the best beer. This is your favorite brewery. Your go-to place where the beer is so good, it doesn’t matter what the patio looks like. This is the patio you should probably not bring your knitting to, because let’s be honest: you’re here for the beer. No matter what kind of brewery patio is your favorite for knitting in public, time spent on it knitting is always a great choice! 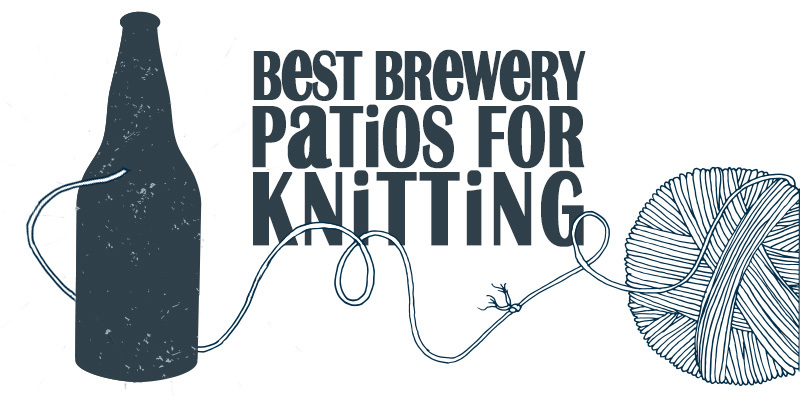 Ready to start brewery patio knitting for your knitting in public efforts? Find the perfect pattern!